This is what I think of as my first PROPER painting where I was able to paint more than a "practice" piece. I Love this beautiful and passionate art work...what a FANTASTIC and INSPIRED idea!! God BLESS your work- your wife's work- of the Words Jesus spoke on the cross. 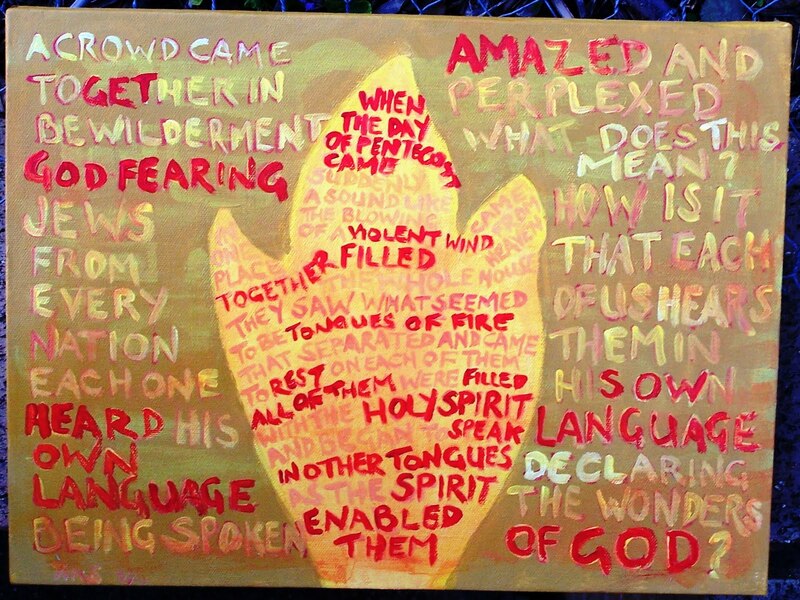 The "Painting Pentecost" is beautiful as well! Thank you for sharing with the world!